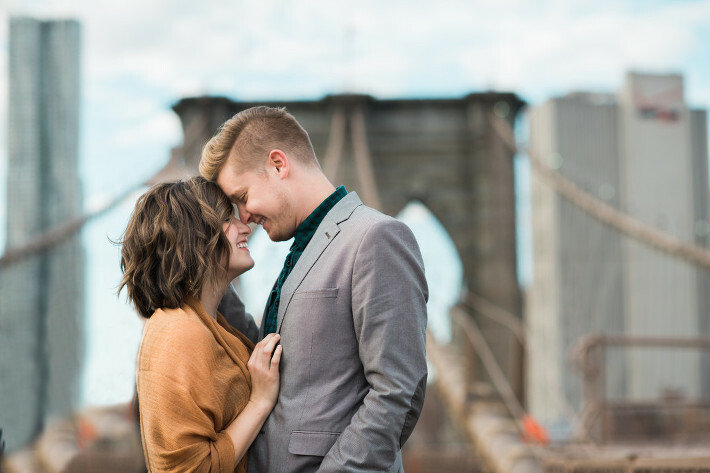 There are endless reasons to have portraits captured of you and your sweetie: engagements, anniversaries, birthdays, or even ‘just because’! I love them all, and believe couples portraits shouldn’t be reserved for just the special occasions! You’ll want to look back in years to come at the everyday moments, too. This stylish, fresh-faced couples was celebrating their exciting one year anniversary with a special trip to NYC. 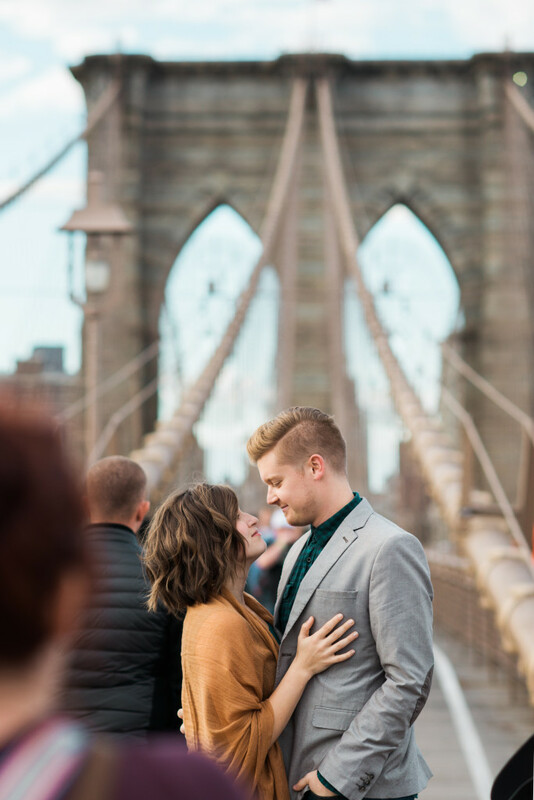 Of course, New York City boasts many landmarks that one can use as a backdrop, and the iconic Brooklyn Bridge tops that list. It’s scenic and gorgeous, and it makes a fabulous location to create perfect portraits, especially ones that will grace your walls. This shoot was a lot of fun because the couple was so in love. PDA was not an issue for them. They were very happy to snuggle and whisper sweet nothings to each other. This makes for those heart-felt photographs that I so covet. My advice to anyone who is timid about snuggling up as hundreds of tourists and New Yorkers walk by. is to just go for it. I promise people have see weirder things! Enjoy each other and have fun, because your photos will be worth it!